Pain management comes in many forms, but probably the most common technique used to deal with injuries and pain is cold therapy. Cold therapy or cryotherapy is used to treat acute injuries to your musculoskeletal system. Anyone who has experienced a sprained ankle or wrist has heard the phrase “put some ice on it.” Applying cold or ice therapy to an acute injury can help shorten recovery time and potentially minimize pain. The hard part can be applying ice or cold therapy in an efficient manner to the area that needs it and cold therapy systems can be the answer. Icing an injured area can involve ice packs or even just a Ziploc bag filled with ice. While these can deliver cold therapy, they often aren’t the most efficient ways to deliver cold therapy to our injured areas. So how does cold therapy actually work? By applying ice to your skin, blood vessels are narrowed (this is called vasoconstriction) and can reduce your metabolic rate, inflammation, circulation, and muscle spasms. This narrowing of the blood vessels causes a reduction in blood flow to the affected area, therefore reducing swelling. Obviously, the effectiveness of any therapy program is contingent upon patient adherence, so make sure you follow your doctor or therapist’s instructions carefully. Okay, understanding how cold and ice can benefit us in our quest for healing is one thing, but how does this ice cold therapy system benefit you? 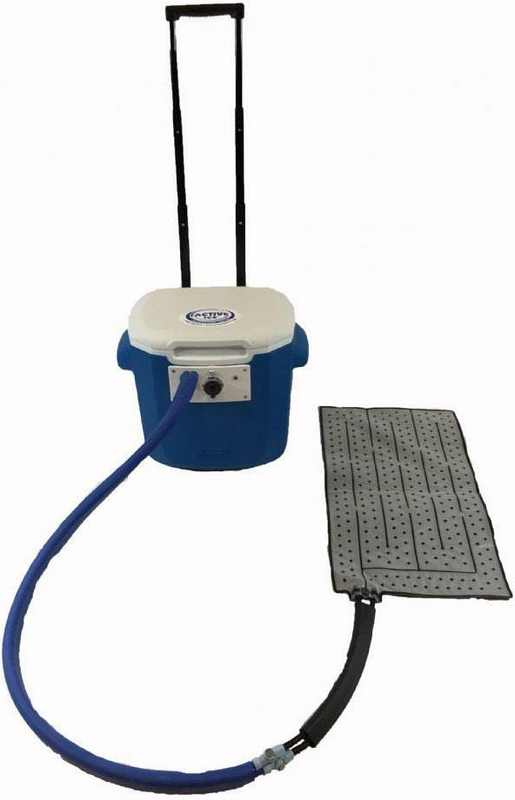 The Polar Active Ice Cold Therapy System is specifically designed to be used in a postsurgical environment. 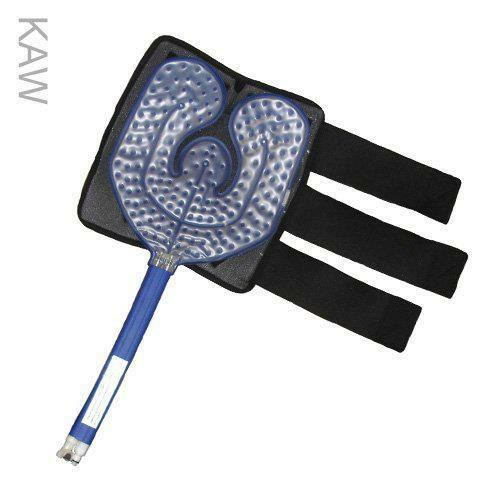 It benefits the user by circulating ice cold water through a hose to a bladder specifically designed for the area in which you need relief. Patients should be aware that water circulating is cold enough to freeze skin, so caution should be taken and all directions should be followed. 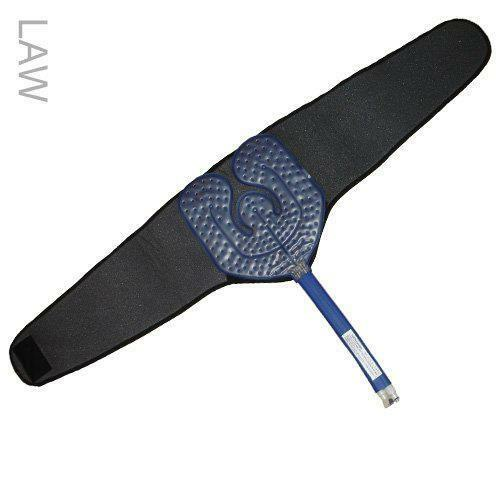 The universal rectangular or U-shaped bladder can be secured to any injured area in a variety of manners, which makes it perfect for large areas such as the back, hips, or any contoured area like shoulders or knees.There are bladders designed as a knee compression wrap (KAW), lumbar/hip compression wrap (LAW), or shoulder compression wrap (SAW). 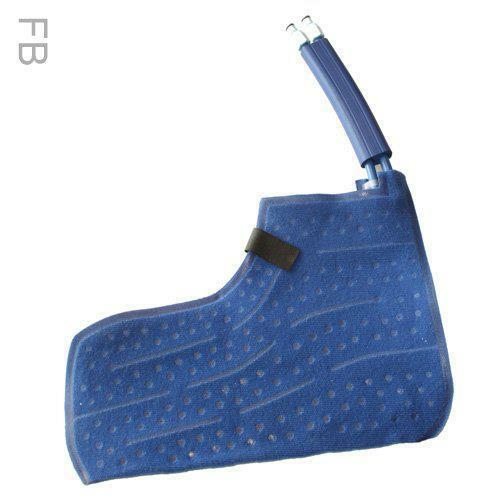 Also available are bladders custom-designed for your foot and ankle area to make it easy to use them for any kind of ankle or foot injury. You should always be sure to use the proper bladder for your injury so that your therapy session is optimized. Each therapy session starts with water and ice being added to the “cooler” part of the system. It’s from this reservoir of cold ice/water that the magic happens. Once you connect whatever body part bladder you require to the hose connected to the cooler, a pump will circulate cold water through the connecting hose to the area covered by the bladder.One tip: use larger chunks of ice since they will melt slower and your therapy can last longer. 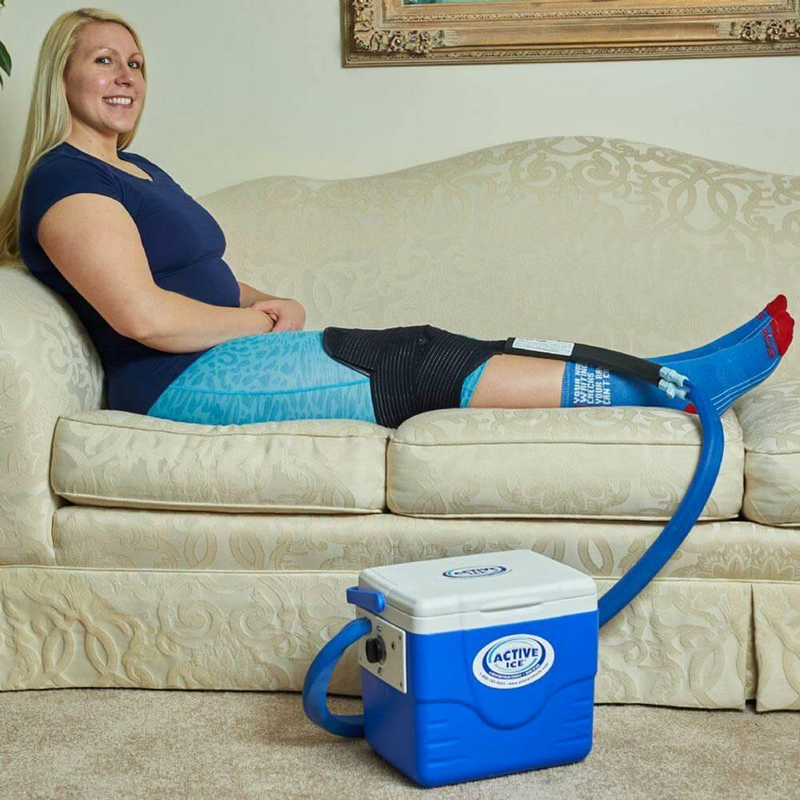 Depending on your therapy needs, the Polar Active Ice Cold Therapy System is available in a 9 quart and a 15 quart version. To add convenience to this therapy system, a rechargeable lithium ion battery is available so your therapy can go with you. You should work with your doctor to see which side system or bladder would be perfect for your therapy needs. It’s a proven fact that ice/cold therapy aids in the healing process. While patient adherence to any therapy program is paramount, using the most efficient manner to deliver cold therapy can go a long way to expedite recovery. By using a cold therapy system, you can effectively deliver cold therapy precisely where you need it and can get you back to your normal active life! !